Cheap living in retirement has nothing to do with depriving yourself of a fulfilling life. It is about retiring smart and taking a good look at your spending habits. You want to know exactly where you are putting your money. A stress-free life depends on this. Then find out where the cheapest places to retire are located. Cheap living is putting your resources to the best possible use. To know where your money is really going, ask yourself what your "needs" are versus what your "wants" are. Below are the steps to knowing exactly the difference. Your needs are your basic necessities... What you must pay out to survive. Everything else is A Want. Make a list of ALL your daily expenses for two weeks--Including the candy bar after lunch. After two weeks look back at the list. This will give you a good idea of your spending habits. If it doesn’t fall under Basic Needs then it’s... "A Want". Wants are okay as long as they are controlled. It’s when your "wants" start getting you into debt that you run into trouble. Creating a monthly budget will help with getting to know your expenses. Most people have no idea how much money they are throwing away every day--Money they could be putting towards a more rewarding life. Frugal retirement means knowing how to live a comfortable life on less. Find the cheapest places to retire by searching in smaller towns. The closer to a large metropolis, the higher the cost. The largest number of affordable retirement spots are located abroad. For many retirees living in the states has become much too expensive. If you are on a really tight budget, retiring overseas may be your best option. Extend your boundaries and discover the wonders of a new shore. Living frugally is important but so is quality of life. You can retire in Ecuador very comfortably for less than $1000 a month. And that includes household help. Here you will discover beautiful tranquil beaches, lush tropical rain forests, and the snow-capped mountains of the Andes. Or head to Antigua where the weather is Spring-like all the time. It is one of the best preserved colonial cities in the world and you can retire here for less than $1500 a month. 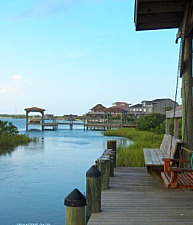 Choosing a retirement location should be simple and straightforward. Create detailed budgets and know the basics when retiring overseas or over the county line with these easy-to-follow tips. Use these easy tips for a frugal retirement and put more money in your pocket. Frugal living is not synonymous with substandard living. It is about learning techniques so you can put the extra money to better use. Remember, you’re trying to live cheaply so you can enjoy your retirement years. Stick to a plan and retiring early can become a reality. The following tips help create a budget you can live with. And still have money left over to spend on frivolous items. It reveals how to cut your spending so you can enjoy your retirement years on a budget. Living frugally essentially means learning to spend on what you need without throwing money away. Give yourself a number that pays your monthly bills...With a little left over for your wants. The bulk of your spending must go towards your basic needs. This is an essential strategy for cheap living and retiring secure. What do your basic needs amount to each month? Make a list of your essential expenses for the month. These should include rent or mortgage, utility bills, transportation costs and food expenses. For most retirees, this number will range from $1500 to $3000. When you have a number, add $150-$200 to the amount. The total amount will be your monthly spending budget. This means you have up to $200 to spend on whatever you want after paying off your monthly bills. If you want something really bad it has to be within that $200 range. Don’t have enough money? Then wait till the next month. Whatever you did not spend of your $200 budget gets added on to the following month. By then you may realize it was an impulse item. This is one of the simplest ways of living frugally. The rest of the money goes into savings. Soon you will discover how much you can actually save towards your retirement nest egg. Make this a habit and saving money will become second nature. Creating a monthly spending budget reveals where your money is going. Most likely, it is not going to fund retirement. This technique for living frugally shows how to cut your spending without affecting your quality of life. Stay away from reckless spending and managing your lifestyle in retirement becomes a snap. It will seem tough at the beginning. Most lifestyle changes are. But wise spending habits get you out of debt and keep you out of debt. These retirement ideas will guide you to live frugally in order to achieve retirement paradise. Planting an edible garden is another technique to cut down on your grocery bills. Not only will you save money, you will also eat healthier as a result. Don't have an IRA or 401K? Find out how you can still take control of your retirement. Use these easy-to-follow retirement planning tips to retire secure. Cheap Living is about smart choices. Learn the basics and you'll be on the road to a fulfilling retirement paradise.